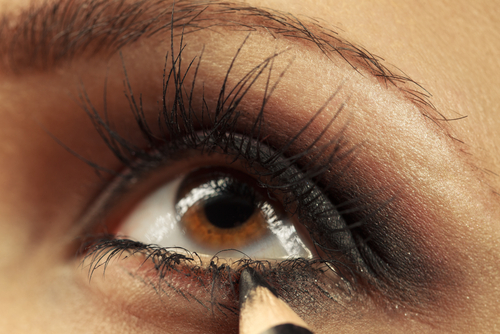 10 Eyeliner Mistakes You Might Be Making… And How To Fix Them! Girls, eyeliner is a favourite makeup product for us all. Most of us use it on a regular basis and if applied right, it makes our eyes look oh-so-gorgeous! 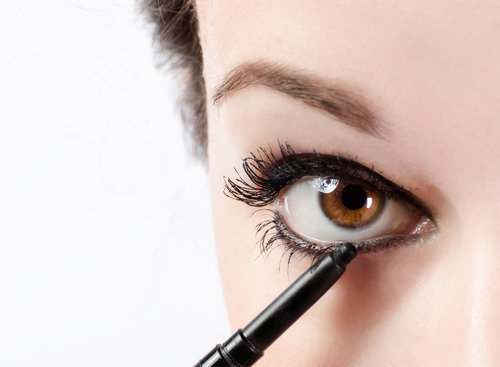 But there are a few eyeliner mistakes that we all make even without realizing it! Don’t worry, we always got your back. Keep reading to know 10 common eyeliner mistakes that you’re probably making, and how to fix them! Applying eyeliner to your entire eye - both upper and lower lids, is one mistake that makes your eyes look smaller than they actually are. Moreover, it may sometimes look a bit too over the top, which is certainly not a desirable look at all. How to fix it: Apply eyeliner only to the upper eyelid and avoid applying it to the lower lashline and use a kajal instead, but avoid applying kajal in the inner corners of your lower lid. This will give you a cleaner and a more natural look. Quite a lot of us get tempted to pull the skin around the eye while applying the liner. Well, contrary to the popular belief - doing this doesn’t help in providing a smoother surface, rather it prevents you from drawing a more natural shape. Also, gradually it affects the extremely delicate skin around the eye. How to fix it: Place a hand mirror in such a position that you can see yourself while looking down. Now apply the liner without tugging at the skin around your eye. Yes, this counts as a mistake too! Your eyeliner has a shelf life and using it beyond that is not a good idea. Not only does it look flaky when applied but it puts your eyes at risk of infections too. How to fix it: Buy a new one! As simple as that! Also, try and keep an eye on your makeup products to see if they are running past their expiry date or not. The safest thing you can do is to replace your old eyeliner with a new one every 3 to 5 months. This one can turn into a super messy blunder. Winged liner is a tricky shape, so unless you are a pro at it, do not take the risk of applying this complex shape free hand. How to fix it: Use a clear tape or a stencil to help you achieve those perfect wings. If you still can’t draw it then it’s best to stick to simpler shapes for the time being, but don’t give up ‘coz practice really does make one perfect! This removes the liner that’s closest to your lashes, leaving you with an uneven and patchy line. How to fix it: Curl your lashes before applying the liner. It would help you apply the liner in a much better and smoother way and save you from having to reapply after curling. Gliding the liner along your eyelids and not bothering with final touches is surely a mistake many of us make. Don’t rush through it. Sometimes while applying the liner, a bit of a gap remains on the area that’s nearest to the lashes, or sometimes the liner on the left eye doesn’t match the one on the right eye - such mistakes need to be spotted and fixed with some final touches. How to fix it: After applying the liner, make sure you examine it carefully. If you see tiny gaps or any other thing that’s making it look anything less than perfect, fix it before stepping out! Simple and useful enough?! Applying primer and concealer on your face but leaving out the skin around the eyes? Big mistake! 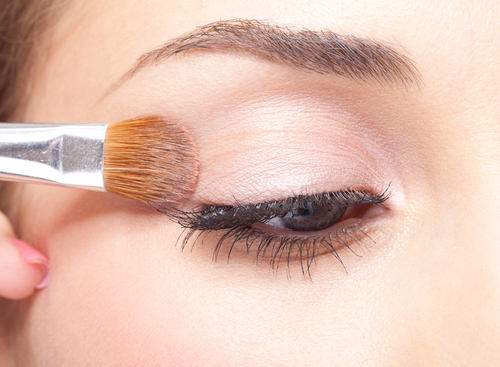 No matter how nicely you do it, your eye makeup won’t look as good as it should! How to fix it: Make sure you apply the primer and concealer on and around your eyes as well. This will conceal the dark circles while keeping your eyeliner intact for hours. Everyone has a unique set of eyes and not all eyeliner styles look great on all eye shapes. 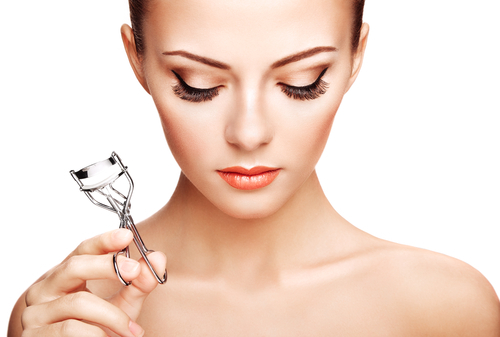 There are certain styles that don’t flatter particular eye shapes as much as others. So if you’ve never given it much thought, now is the time to make the change! How to fix it: Try to figure out what eyeliner style looks better on your eyes. If you have big eyes, a thin line would work wonders in defining your eyes. If you have droopy eyes, winged liner would help in giving a lifting effect. Learn about the best eyeliner styles for your eye shape here. 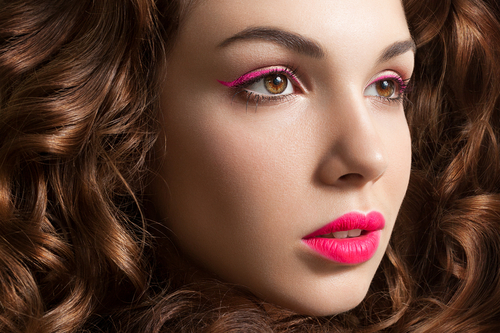 Coloured liners are a rage this season but do not follow this makeup trend blindly. Using a colour that doesn’t go well with your eye colour and your skin tone can look unappealing. How to fix it: Figure out the colours that suit you. Black and brown are the safest colours and look good on almost everyone. While colours like blue, olive green, indigo go well with fair tones, people with dusky and dark skin tones should prefer warm tones like deep purple, dark blue and darker shades of green.